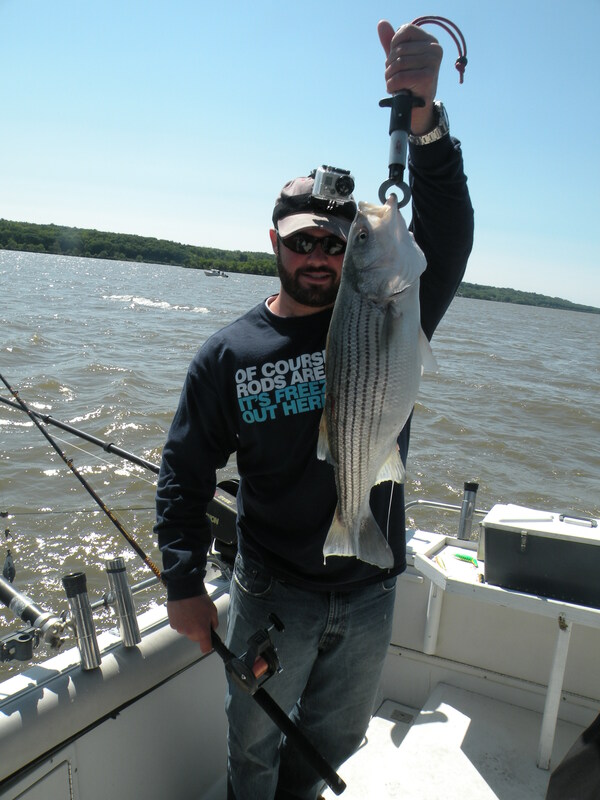 I got an invite Tuesday night from the Fish Hound, James Vladyka, and his father to head down to the Hudson River to fish for striped bass. They had made a trip a little over a week earlier with Captain Dan Lussier of Lazy D & Me Charters with great success. I’ve only had the opportunity to fish for stripers a few times with one of my buddies off the coast of Rhode Island, so I was glad I could make the time to go. 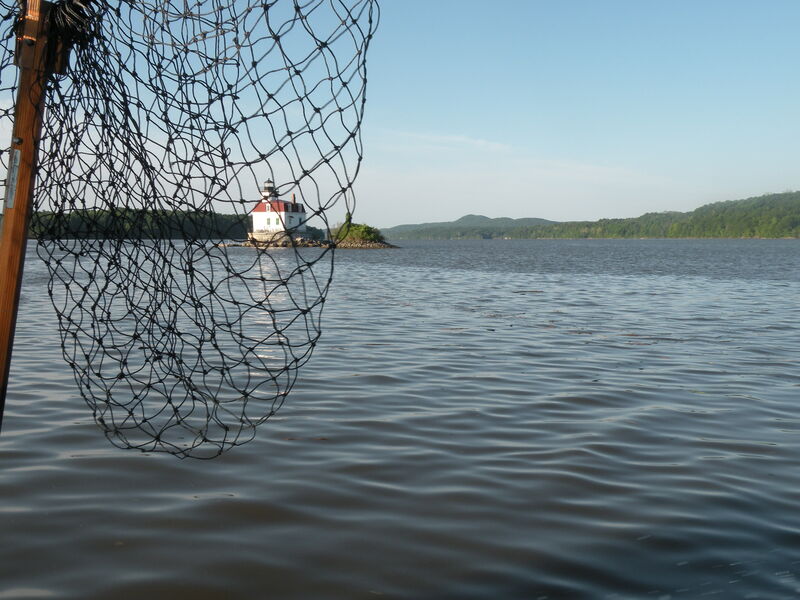 The length of the fishable season on the Hudson is determined mainly by two factors; water temperature and weed growth, mainly the highly invasive water chestnut. We were heading down towards the tail end of the season that usually begins for Captain Dan at the start of May and lasts for about three weeks. Throughout the course of the season, Captain Dan guided trips just about every day. The day before we got there he was pulling up water chestnuts with only short green stubble growing but we found it to be much taller less than a day later. He was concerned with the possibility of the few trips he had remaining. even though there was still piles of fish around. 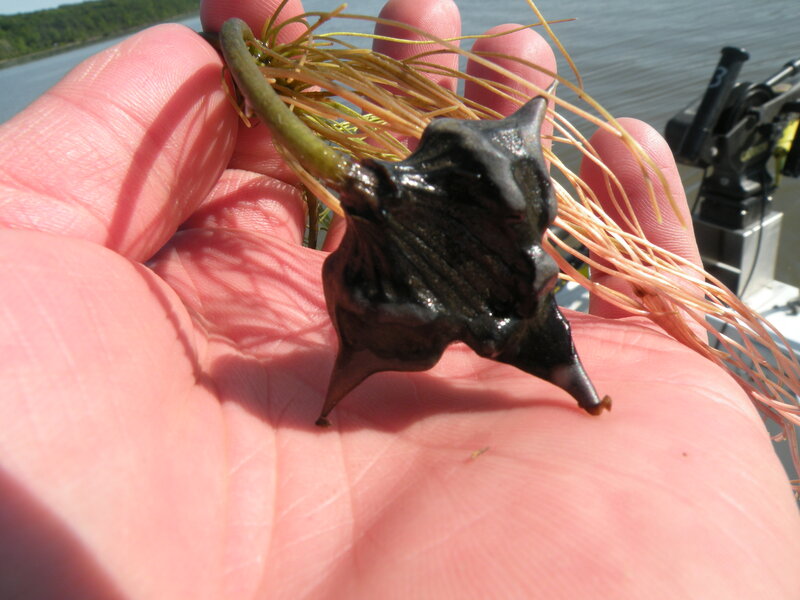 Here is the nasty water chestnut. To start the day, we went through an area that commonly holds fish but didn’t see any initially. Because the area normally produces, we started getting the boat ready for first drop. After a quick tutorial on how downriggers work and what to do when we got a fish to strike, I was informed that I was going to get first crack. Oh boy! It didn’t take us long to get into the fish and it was only shortly after 7 am. 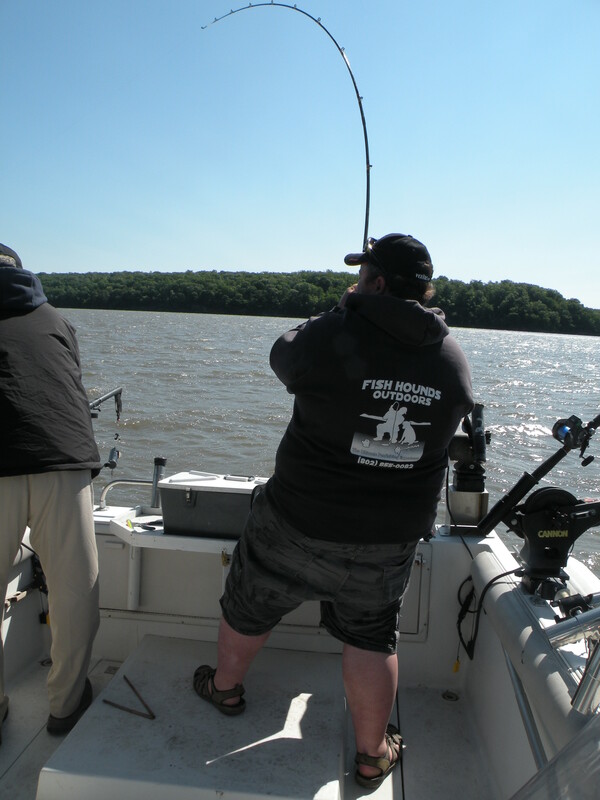 When our first downrigger popped it was my turn to grab the rod and start cranking. 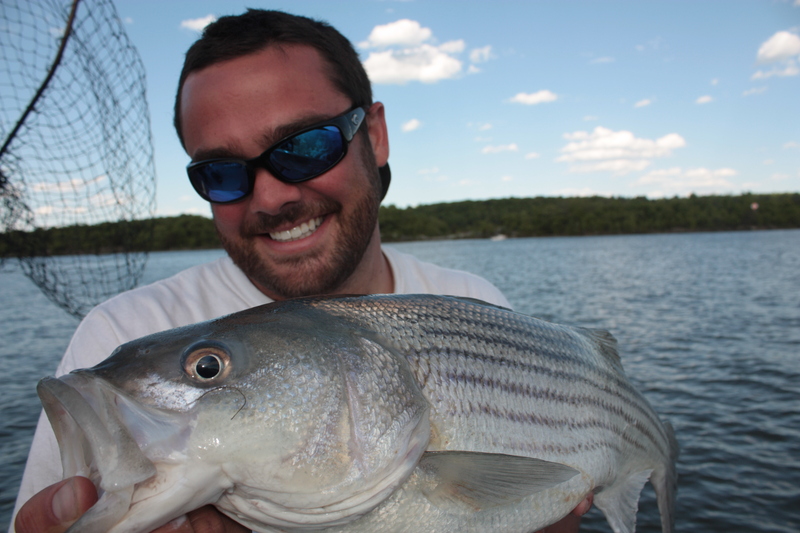 After a nearly ten minute battle, I landed a 30″ striper that was between 12 and 14 pounds. The two scales we used differed unfortunately… Either way, this was my personal best striper and the biggest among all of us for of this particular trip. Check of the video filmed on a Go Pro on our YouTube page. We mainly ran stick baits by Rapala and Yo-Zuri in a variety of colors. We didn’t find that any one color worked better than another the entire day but bright tones seemed to give the best consistency. 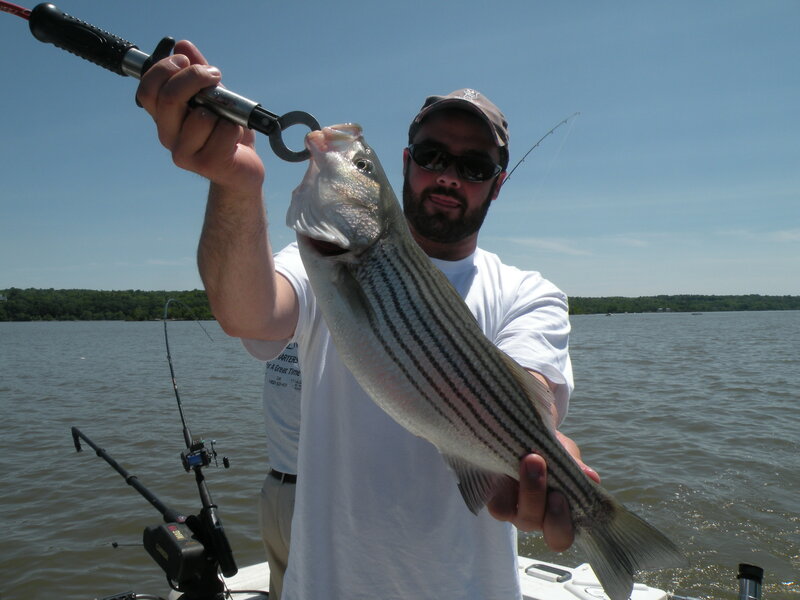 After learning how these stripers feed, I had a feeling that this would be the case for the muddy water of the Hudson. 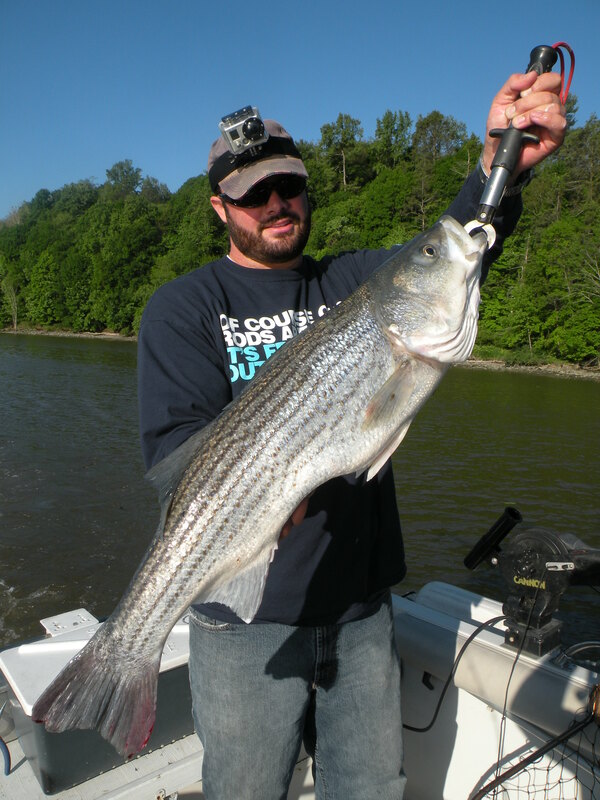 Stripers like to stun their food before they eat it which was evident by the jolting blows that they landed on the 13 pound downrigger ball. 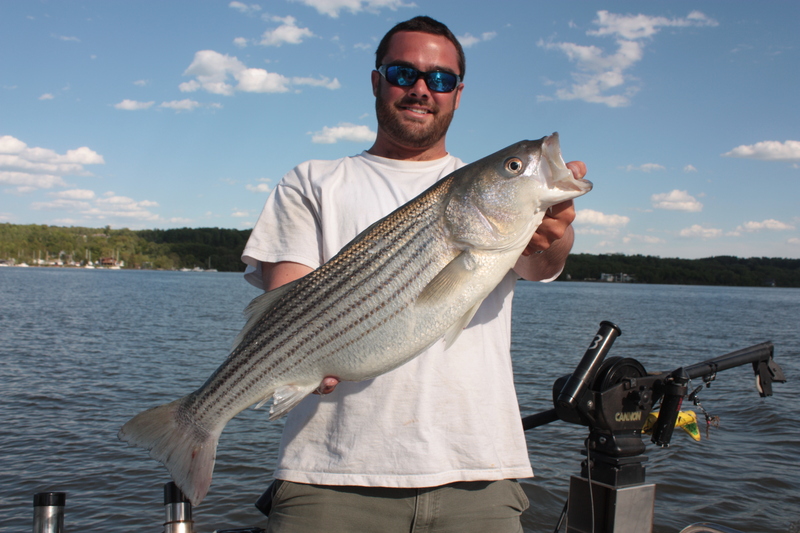 Check out this video on our youtube site of the fish slamming the downriggers! 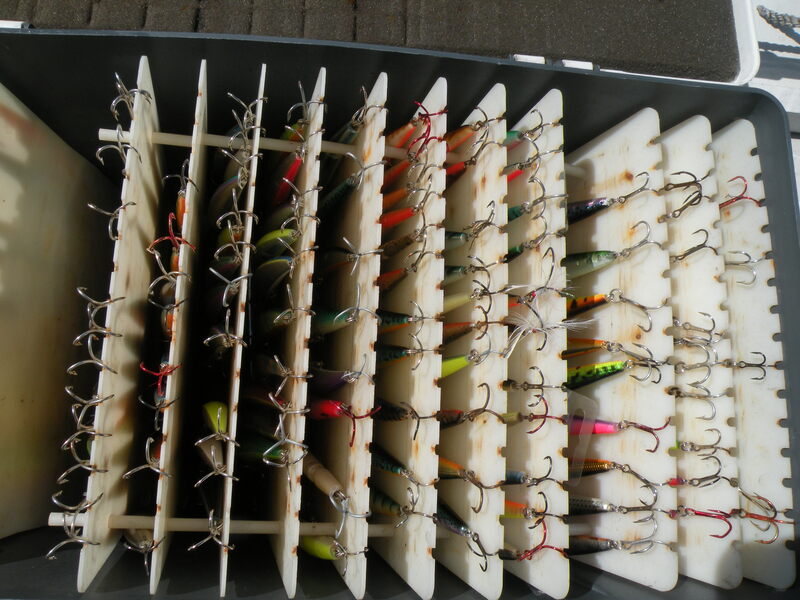 Here is one of Captain Dan’s tackle boxes of baits. He is worse than me with selection… Always necessary to have a variety though (or at least I tell myself that)! We had a difficult day overall. 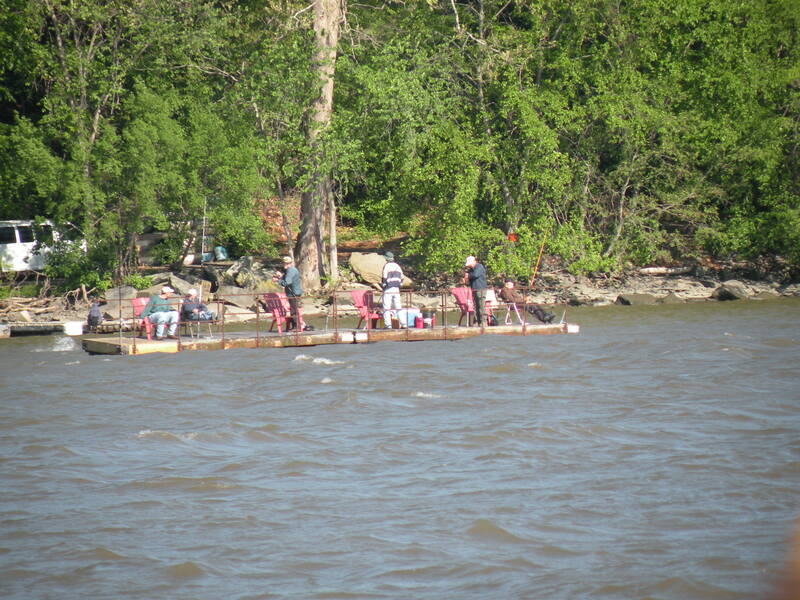 We were the first ones on the water Thursday and it paid off in many respects. We got to enjoy the ride out to our spot for the day with undisturbed wildlife such as numerous varieties of birds, a deer drinking from the river, and a beaver. When I landed my first fish we still had the entire run of river to ourselves. Unfortunately this was when it became fishing. It doesn’t take long for everyone to key on a boat when the land a fish. It’s arguably worse than Champlain when someone lands a crappie! We were constantly on fish throughout the day. We definitely had times when they bit better than others but that’s fishing. 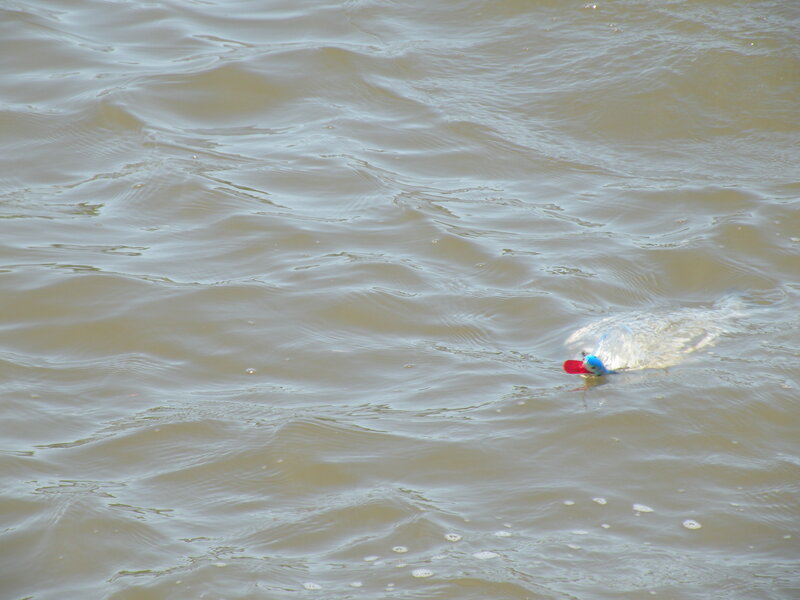 When you fish with electronics, sometimes you get more frustrated than without but they are almost necessary these days; especially when guiding. 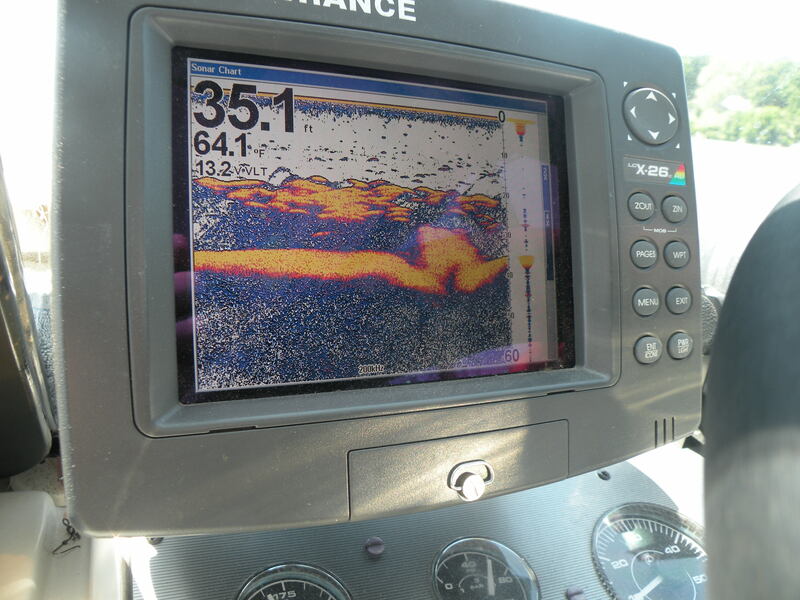 Most times you can determine what depth fish are active at and what depths they are resting at. This trip had the divide at right around 20 feet. You can see the size of the school we had under the boat for a good portion of the day below! 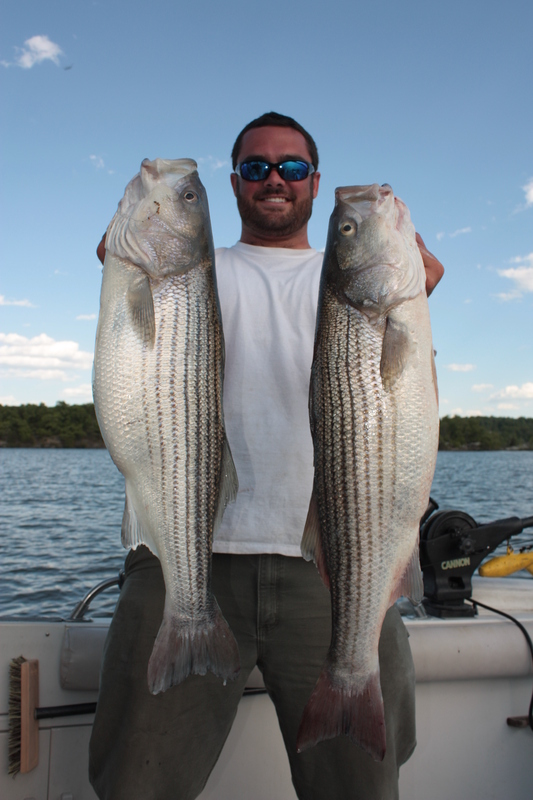 Captain Dan has very competitive prices and is successful whenever his boat is in the water. He can take you out for a trip on the Hudson River, Lake Champlain, and Lake Ontario if you desire. These guys know how to have some fun! Fish on for the Fish Hound!